Qmobile has released an amazing smart phone QMobile Noir Z9. This smart phone is with 1.2Ghz Quad Core Cortex A53 power full processor. QMobile Noir Z9 Camera is with 8MP back camera, 5MP front camera and LED flash light. QMobile Noir Z9 display size is 4.8 inches and 720×1280 pixels. QMobile Noir Z9 Memory size 2GB RAM, 16 GB internal Memory and up to 32 GB external SD card support. 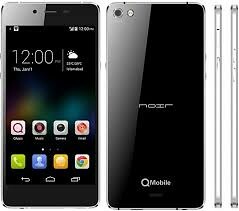 Qmobile Noir Z9 is other features are Bluetooth, WLAN, GPS, GPRS, micro USB, FM Radio and etc. How to Flash Qmobile Z9 Firmware? Download and install Qmobile Z9 USB Drivers. I am receiving this error, can anyone help? Download Fail:Sahara FailValue cannot be null.